The Jakarta Soekarno-Hatta International airport is huge and is in the top ten of the most busiest airports in the world. 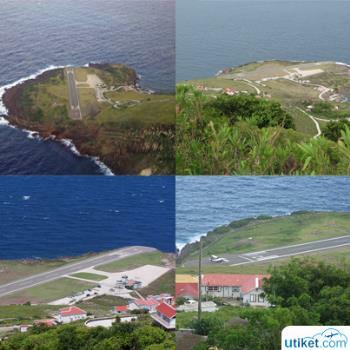 The airport is operating over capacity and is very crowded especially during peak hours. The new low-cost Terminal 3 relieved the other terminals a bit of the congestion but all the separate terminals makes the airport a bit confusing. So let's start with describing the three terminals. Terminal 1 is the main domestic terminal used by most airlines for destinations within Indonesia except Garuda, Mandala, AirAsia, Merpati and Lion air flights to Denpasar. It is formed in an half crescent moon made of mostly red bricks and has one floor with departures and arrivals next to each other. The terminal is made up of three sub-terminals or concourses: 1A, 1B and 1C. 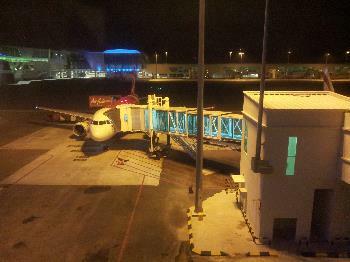 Lion air uses terminal 1A completely and uses 1B for flights to Sumatra, Batam, Pangkalpinang and Palangkaraya. All the other Lion domestic flights depart from 1A. Terminal 1A and 1B are very crowded. 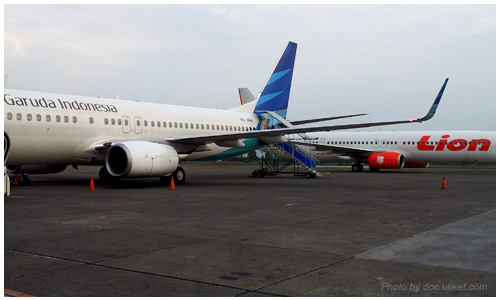 Sriwijaya Air and Express Air are using 1B as well. 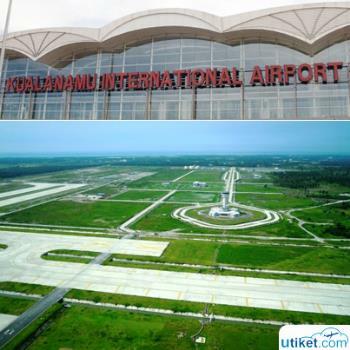 Terminal 1C is used by all other airlines for their domestic flights (Batavia, Kalstar and Citilink) Be aware that all the international flights from these airlines depart and arrive from another terminal, Terminal 2. 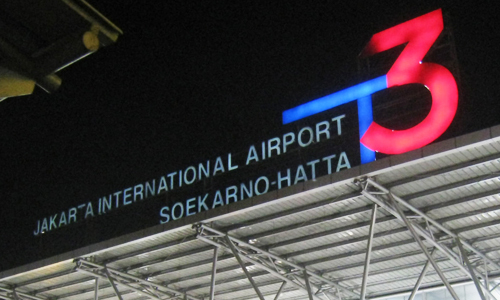 The International terminal of Soetta is similarly formed in a half crescent moon in red brick as Terminal 1, adding to the confusion if you are not familiar here. Terminal 2 is smaller but has two floors, the first floor is for arrivals, second one for departures. All flights with an international destination depart from here, except AirAsia and Mandala (who fly from Terminal 3 which has customs and immigration facilities too). This terminal is also divided in three sub terminals, 2D, 2E and 2F. The first two, 2D and 2E are used for international flights. The last terminal 2F is used by Garuda and its subsidiary Merpati for domestic flights. When flying internationally this arrangement makes it much easier to connect with a Garuda flight then with any of the other airlines as with Garuda you do not have to switch to another terminal building. The brand new glass and steel Eco-terminal 3 is used by AirAsia and Mandala for all their flights, domestic and international, and also for Lion Air flights to Denpasar. Compared to the overcrowded and aging other terminals this one is new and comfortable but with limited facilities. All terminals are a bit away from each other making it not possible to walk. The taxi touts in front of mostly Terminal 1 and 2 will offer to bring you to another terminal for Rp. 50.000 while there is also a free but bit unreliable shuttle bus. In front of the terminals are signs where the shuttle bus will stop. Be aware that on the international terminal which has two floors, the shuttle bus will depart from the upper (departures) floor. The busses are painted canary yellow and can't be missed. They are a bit small, usually crowded and the high step-in makes it bit difficult if you carry lots of baggage. But it is free. Don't take your suitcase to your seat though but put it in the baggage compartment at the left side of the door. The shuttle busses operate 24 hours a day and arrive frequent but irregular, there is no time schedule, they just drive their route which can result in sometimes three shuttle busses arriving at the same time. But you never need to wait more than 15 minutes for one to arrive. The ride to another terminal will take around 20 minutes. Sometimes the busses drive extremely slow and will just stop somewhere for a few minutes for no apparent reason. Calculate one hour for the transfer to another terminal, or take a taxi if you are in a hurry. Be aware there are 2 different shuttle busses, one bus will only go to terminal 1 and 3, the other one will also pass Terminal 2. The shuttle will make a route from Terminal 1 to 3, then to Terminal 2, then to Terminal 1 again. Cheap and comfortable Damri busses to several destinations in Jakarta and beyond all depart in front of the terminals and they will pick up passengers at each terminal before heading to Jakarta. At Terminal 1 they depart across the road that runs in front of the terminal. At Terminal 2 they arrive from the upper departures floor on the far left side. The new Terminal 3 has very limited options with only some restaurants after the gate. If you have time best to head to Terminal 1 or 2 where you will have plenty of options from cheap local food to air-conditioned restaurants serving western dishes. There are plenty of ATM's at every terminal accepting all major international bank cards and credit cards. 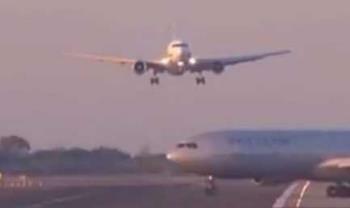 If you have a flight the next day a night in an hotel close to the airport may be wise. The Jakarta Airport hotel which is situated between Terminal 2D and 2E (the International terminal) is quite expensive and often fully booked. There are several good affordable hotels in the vicinity within a ten minute taxi ride. You can find and book a hotel at the kiosks just after customs check. Sleeping at the airport is also an option. The airport mostly shuts down in the night so it is quiet but there are quite a few Indonesians staying the night there too so you are not alone. Only the international terminal has shops and seats inside, providing some much needed air-conditioning. Don't expect any nice sofa's or sleeping chairs (this is not Changi) but wooden benches. But you can lie down fully and when using a sweater as a pillow it is not as bad as it looks. Most foreigners can get a Visa on Arrival for US$ 25. You can pay in other currencies too (Indonesian Rupiah, Singapore Dollars, Euro and Malaysian Ringgit are all accepted) and the exchange rate is not so bad. You will get any change back in Indonesian Rupiah though, even if you pay with larger US dollar notes. You can try to complain about that and after few minutes haggling they will sometimes give you change back in dollars. But don't count on it and it is best to have the exact amount of $25. Also, officially you need an onward ticket out of Indonesia. 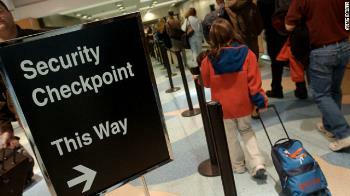 The immigration rarely asks for it but sometimes the airline will ask for it at check-in. The Visa on Arrival counters are just before the normal immigration counters. At the first counter you need to pay then proceed to the second one where they will put the sticker and stamps in your passport. Normally it is quiet and the whole immigration process takes just a few minutes.